A transmission rebuild is a full automotive service. As opposed to a repair, where only the broken or problematic component is replaced, a rebuild requires a full disassembly and reassembly of the unit using a rebuild kit and replacement hard parts as needed. 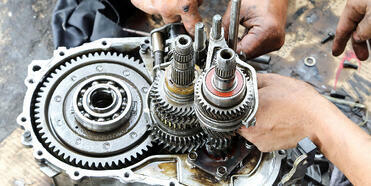 Essentially, the value of the rebuild for a customer is the efficiency of a brand new transmission for a lower price. But could your shop be doing more? In this post, we'll share three ways to increase the value of transmission rebuilds for your shop customer and explain why providing a quality rebuild is so important. Replace all soft parts such as gaskets, seals, clutches, etc. The number one way to increase the value of your rebuild is to do a complete rebuild every single time. That means replacing every soft part in the unit, not just the parts that have failed or are worn. A rebuilt transmission with high quality rebuild parts installed should be expected to run for the same mileage as the original unit, but the same value can't be expected if every suspect component isn't replaced. Clean before reassembly. Debris from either before or during the rebuild can cause otherwise unlikely transmission failures after the vehicle leaves the shop. You should always be sure to clean the unit and all components before reassembly to keep dirt, rust, and other contaminants from interfering with your service. A good unit cleaning can keep a rebuild running in top shape for much longer. Don't forget to flush the cooling system as old contaminants will wash out of the cooler and into your fresh rebuild unit, causing it to fail or have a much shorter life expectancy. Check for technical service updates. Finally, provide your customers with the best service by checking technical service bulletins to see if any new parts or modifications have been released for their application. If a manufacturer recognized a design flaw in the original unit, the company might have released new parts or technology to correct the issue on future units. This includes any software updates for all the control modules. Give your customers the best value rebuild by updating their unit with technology that may have been introduced since their unit was built. Your customers depend on their vehicles. Driving is a daily routine for most of us, so when your customer's transmission is in need of a rebuild, their lifestyle is put on hold. 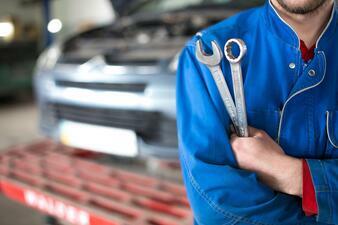 Then, your customers must rely on your shop to get their vehicle in and out and running like new again. It's on you to ensure your customers get a quality transmission rebuild every single time. Plus, the success of your rebuild work determines your shop's overall reputation, and you want to be known for your quality work in order to earn more customers in the future. A quality rebuild depends on several factors, from the skill of the technician to the parts that are being put into the unit. While using genuine OE components, getting the right rebuild kit, and keeping up to date on the latest transmission technologies are all ways to increase the quality of your rebuild work, putting the customers and their needs first in your process is one of the best ways to add value to your service that goes above and beyond.